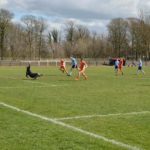 Arran got off to a terrible start at Kilwinning Academy on Sunday against a plucky Irvine Celtic side which saw them fall 3-0 behind after just 20 minutes. A troublesome blaring low sun caused David Heenan problems in goal and Celtic took full advantage including a fine 40 yard free kick. However as the half progressed Arran came back into the game and a good finish from top scorer Archie McNicol before the interval gave the visitors some hope. Another goal from the speedy striker shortly into the second half meant it was game on again. 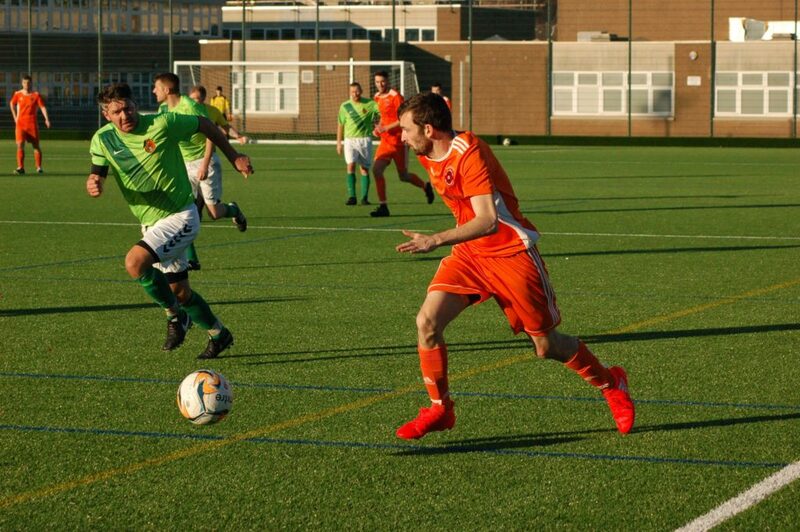 Number 99 Johnny Sloss was unlucky not to grab a point after a good combination with Ryan Armstrong and despite numerous corners and free kicks towards the Celtic goal it was not to be for the islanders as they fell to only there second league defeat of the season. 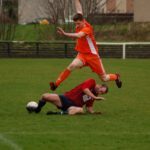 Tomorrow (Sunday) sees the last game before the winter break against Galston SAFC to be played at Saltcoats St Matthew’s pitch with a 2pm kick off. 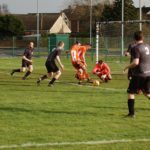 A win would keep Arran top of the Q&L Skips Division 1 over the festive period and seal a solid start to mainland amateur football. They have also still to play in the quarter final of the Go Vending Cup come February. To purchase tickets for the clubs fundraising disco/raffle at Brodick Golf Club on Saturday December 15 please pop into the club shop or bar.